It is with heavy hearts we announce the passing of H. Irene Mawhinney, which occurred on Monday, March, 21 2016 at Shannex - Embassy Hall, Quispamsis. 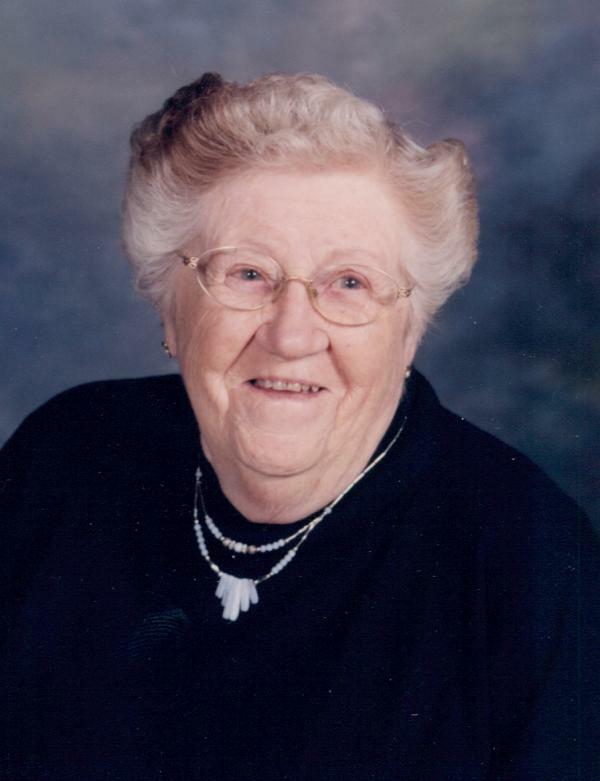 Born on April 13, 1920, in Springhill, NB, Irene was a Daughter of the late Thomas and Gertrude (Wheeler) Cass and wife of the late Paul Mawhinney. She will be missed by her children, Michael Mawhinney (Donna), Jarvis Mawhinney (Rebecca), Kenneth Mawinney (Diane) and Karen Goodwin (Lloyd); nine grandchildren; twelve great-grandchildren; four great-great-grandchildren; as well as many nieces and nephews. In addition to her husband and parents, Irene was predeceased by two brothers; three sisters; a son-in-law, Allen Cassidy; and a great grandson, James Davis. Irene was an active member of the West Saint John community for many years. She was a long standing member of Lancaster Baptist Church and its Women’s Missionary Society. She was a dedicated member of the Ladies Auxiliary of the Royal Canadian Legion branch 69, and a proud recipient of the Ladies Auxiliary Meritorious Service Medal. She loved knitting, sewing, cooking, curling, bowling, swimming, skating and watching Jeopardy. She loved playing Bingo so much, that in her later years she would sneak out to play late into the night.